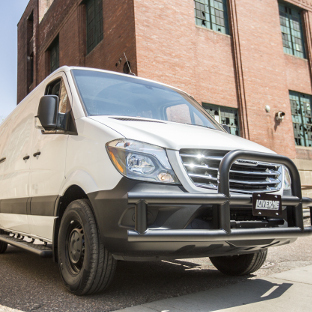 Whether you're driving a daily delivery route or hauling equipment to your next commercial job, we know the demands your work places on you and your vehicle. 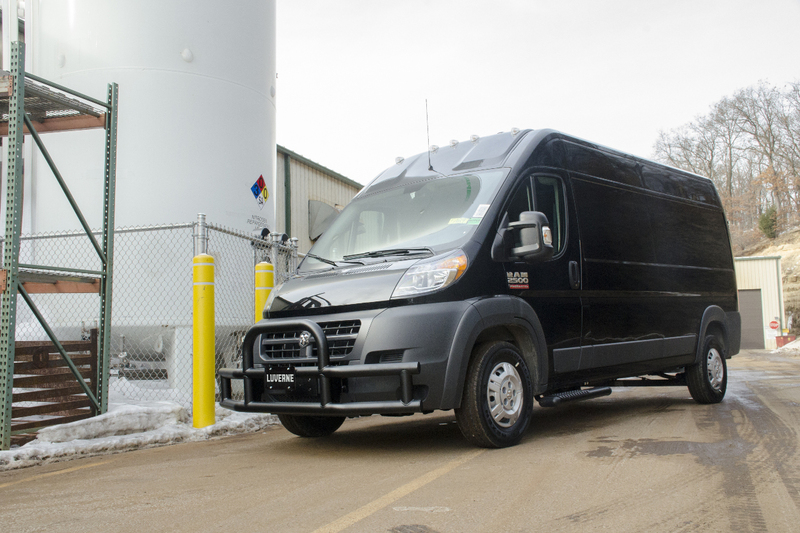 You need cargo van accessories that can withstand the rigors of the job and uphold a professional image for your business. 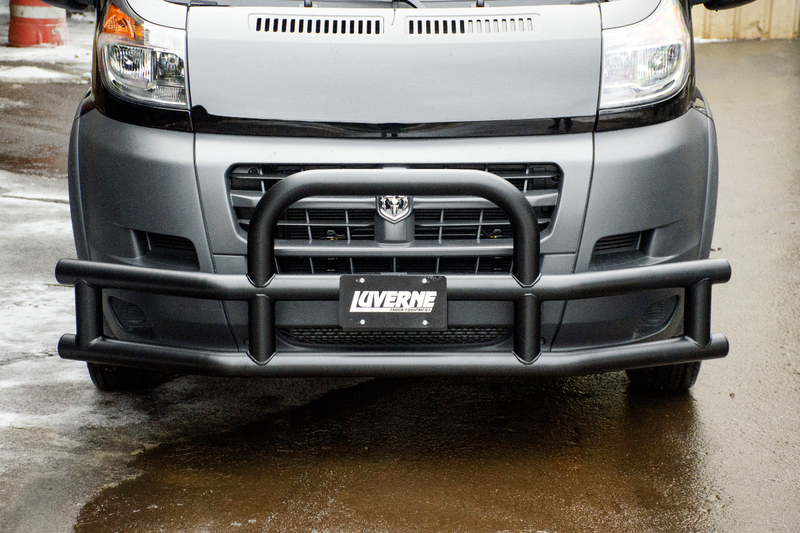 The LUVERNE Tuff Guard® grille guard is uniquely designed for worker cargo vans. It is engineered to supply dependable front-end strength and to outlast constant exposure to the elements, mile after mile. 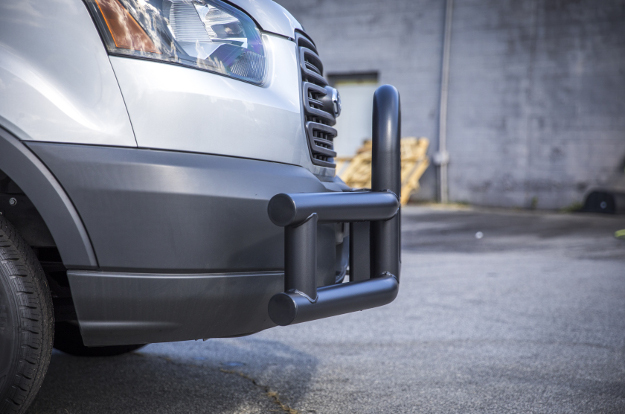 The LUVERNE Tuff Guard® is the ideal bumper guard for commercial vans, featuring a strong but highly weather-resistant construction of powder-coated stainless steel with a sleek textured black finish. 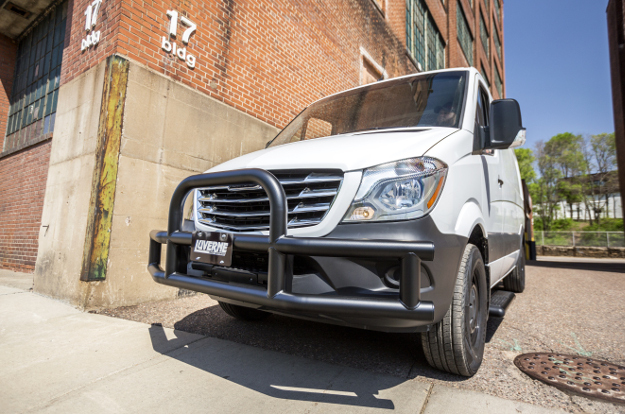 Each Tuff Guard® grille guard is designed for vehicle-specific application for better integration and an easy install. It offers professional protection and a custom fit without the hassle. 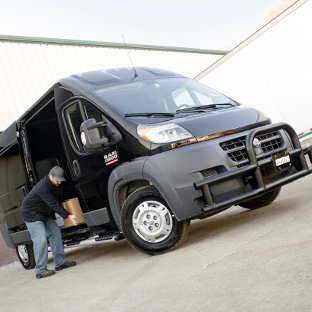 The Tuff Guard® excels in hard work because of its powder-coated stainless steel construction. 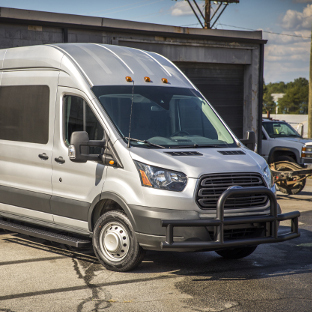 Stainless steel equips this bumper protector with ample strength to give your cargo van the extra front-end protection it needs on the road, in the city, in the industrial park or wherever the job takes you. At the same time stainless steel is also highly non-corrosive, maintaining a clean finish and consistent strength season after season. The addition of a powder coat over the top of the stainless steel further enhances corrosion resistance for a truly commercial-grade build. 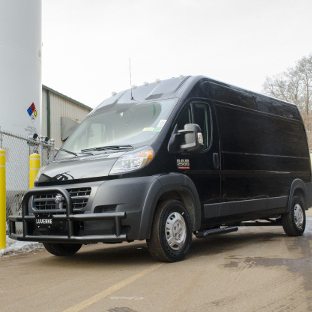 The Tuff Guard® van grille guard features a solid, one-piece design for maximum front-end strength and rigidity. The 3" diameter tubes are made from 14-gauge, 409 stainless steel and are welded into a single-piece, double-stack design. 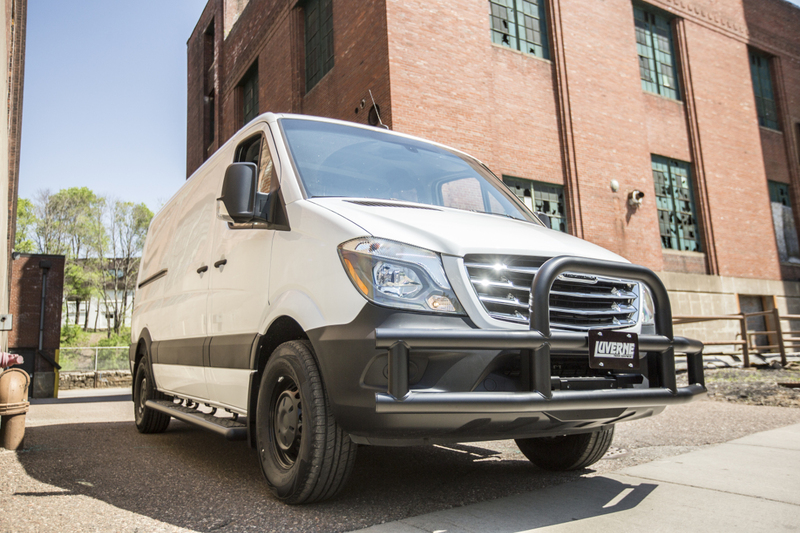 The lower portion of the grille guard is contoured to wrap the van bumper, providing complete front-end protection, and the center brush guard extends up past the bumper to add protection for the van grille. An additional benefit of the Tuff Guard® grille guard's finish is its textured surface. 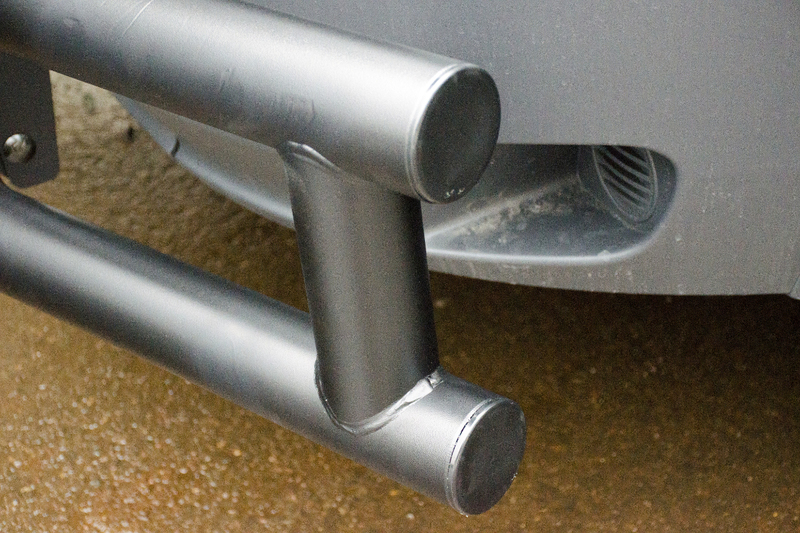 The durable black finish provides excellent protection for the stainless steel tubing, shielding it from the elements and resisting rust, chips and UV rays. 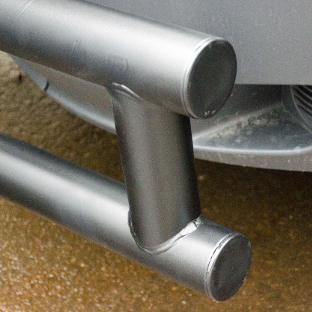 Additionally, the black powder coat's textured finish helps to hide minor scuffs and grime that are inevitably picked up on the job. The Tuff Guard® offers professional protection with a professional finish to back it up. 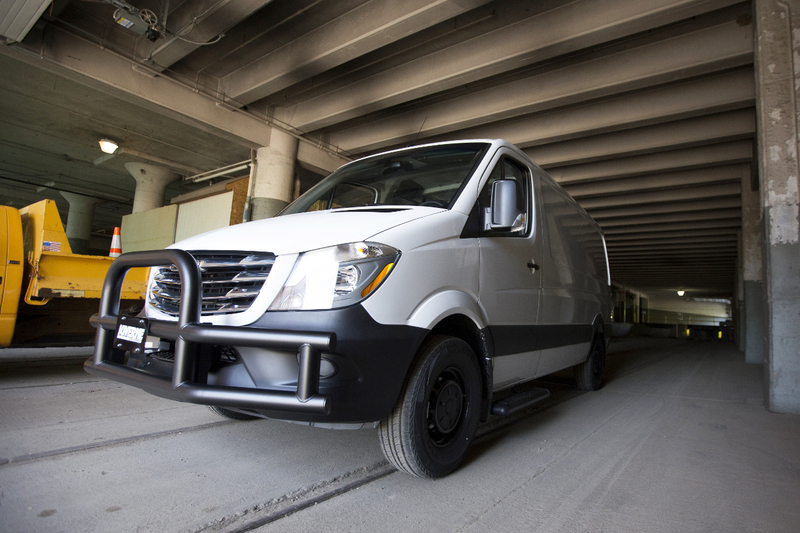 To enhance the strength and rigidity of the Tuff Guard® grille guard, it bolts onto the cargo van using pre-existing mounting points. 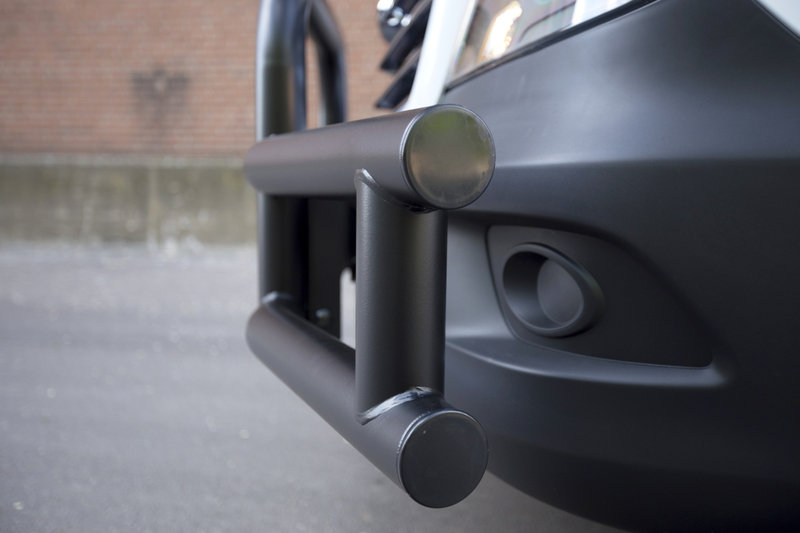 With the brackets bolted into place and the grille guard bolted onto the brackets, the Tuff Guard® is supplied with maximum front-end strength. The bolt-on attachment and frame-mounted configuration also help resist vibrations. 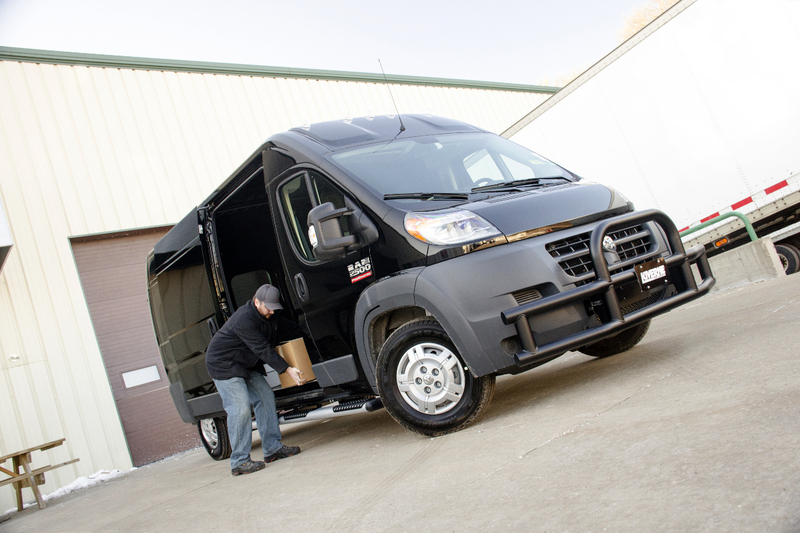 While the cargo van is driving or even idling, the Tuff Guard® is designed to remain fixed with a solid design. 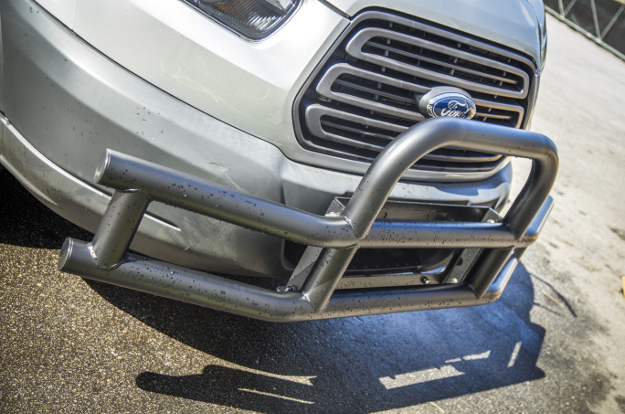 Each Tuff Guard® grille guard is engineered for a custom fit without the hassle of difficult modifications. 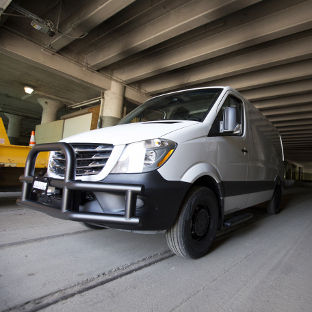 For each cargo van application, a unique set of brackets is used to attach the grille guard, ensuring the easiest possible install, the best fit and maximum front-end protection. 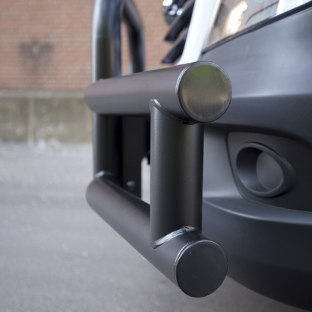 The Tuff Guard® mounts with high-strength steel brackets that are covered in a durable black powder coat finish to provide long-lasting corrosion resistance. 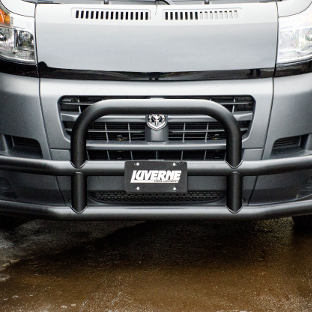 Adding LED work lights or a light bar to your cargo van is easy with LUVERNE accessory mounting tabs #390103. These simple tabs attach to any 3" diameter tube, including the Tuff Guard®, and provide a 14mm mounting hole for LED lights, a license plate bracket or other accessories. 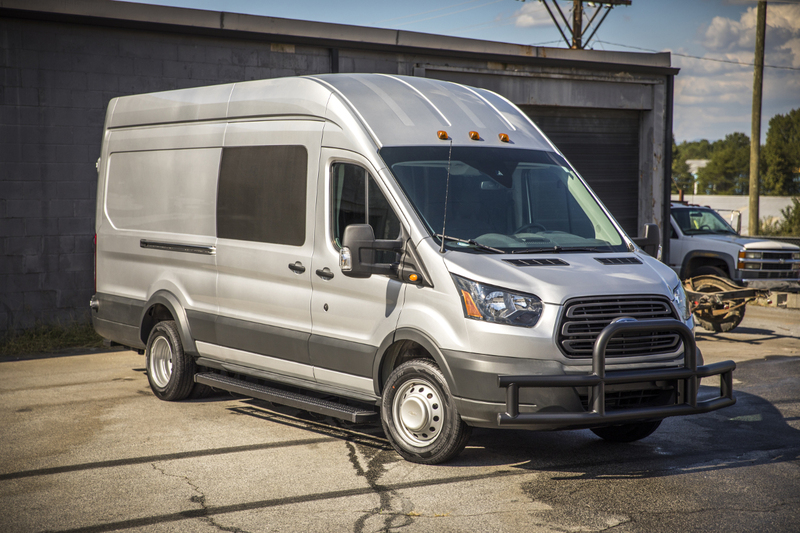 Extra lights on your cargo van are a great way to improve safety on the road and increase your productivity, allowing you to work into the evening and after dark. The accessory mounting tabs are made from powder-coated aluminum and include two per package. 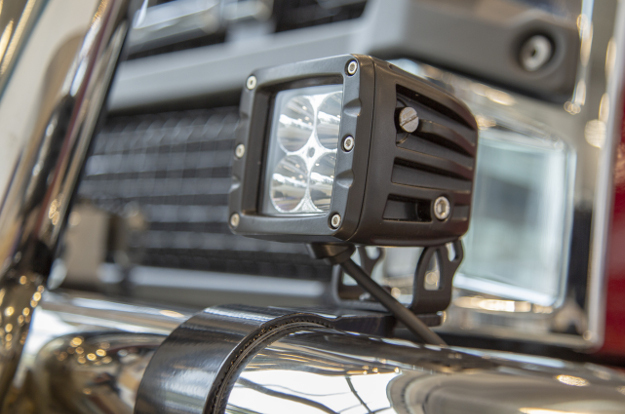 For a selection of professional-grade, waterproof LED work lights and light bars, visit our fellow brand ARIES.